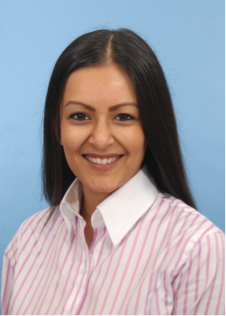 Dr. Amrita Kumar is a Consultant Radiologist and holds her NHS post at the King Edward VII Hospital in Windsor, where she is a leading specialist for breast cancer. She runs a weekly breast cancer screening assessment clinic and performs weekly interventional procedures including ultrasound-guided biopsy, fine needle aspirations, stereotactic and mammotome biopsies, as well as stereotactic wire localisations. She is a core member of the local and specialist breast cancer multidisciplinary team. Dr Kumar consults on all aspects of general and breast radiology and has an interest in the management of symptomatic and screen-detected breast cancer. She also has a clinical and research interest in breast cancer and medical simulation, having previously completed an MSc in this area. My goal is to improve the health of my patients through excellence in patient care (compassionate care and earlier detection, diagnosis and treatment) and innovation.